Mulder & Scully Are Coming Back! 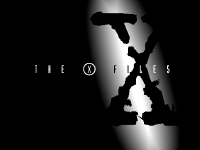 In news that shouldn't really shock anyone but which, to this fan, come out of left field because it seemed improbably that it would ever actually happen, Fox has jumped back on "The X-Files" bandwagon and is testing the water with a six episode order of the classic sci-fi mystery series. Reports have emerged that both David Duchovny and Gillian Anderson will return to reprise their roles, obviously, for this short arc which is presumed to start shooting this summer. It's not particularly surprising that this is coming now. Chris Carter's Amazon show is no more and while Duchovny and Anderson have kept busy over the years, there has been chatter from both camps recently about wanting to return to the show that made them both stars. Most importantly, will Mark Snow's theme return?! ?